A selection of dark, milk and white chocolates. 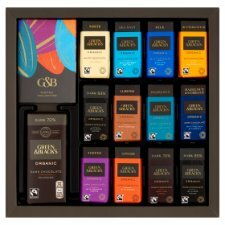 Tasting Collection: 24 Miniature Bars of Milk, Dark & White Chocolate with a Small Dark 70 % Chocolate Bar & Tasting Notes. A selection of our unique Green & Black's bars alongside tasting notes and recipes. Taste is at the heart of everything we do, but don't just take our word for it. We are proud that our Organic collection has won multiple awards at the Academy of Chocolate and Great Taste Awards. 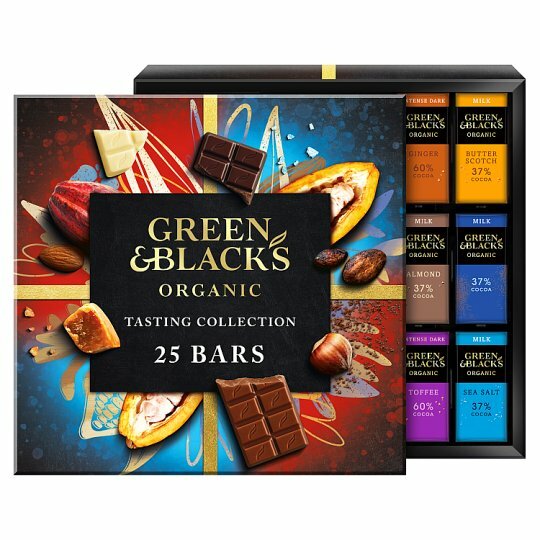 We are proud to also be the chocolate of choice for many celebrity chefs, the Organic collection is perfect for those who enjoy intense flavours in their chocolate.